All those fat history textbooks from our school days have the same story to tell- how varied, diverse and complex was India’s history. Thousands of conquerors, at different points of time in the history of India’s politics, have tried to gain control of this massive stretch of land spread over 4 million square km. Time has witnessed the rise and fall of umpteen empires, the exploits of invaders, the plight of Indians as slaves, the sacrifices of martyrs and the dawn of Indian independence. In the due course, all such people who remained an essential part of the history, which is precisely everyone, as an artist left different specks on the canvas of the Indian mainland. The Archaeological Survey of India, in the best interests of the country, has protected such sites of historical significance. 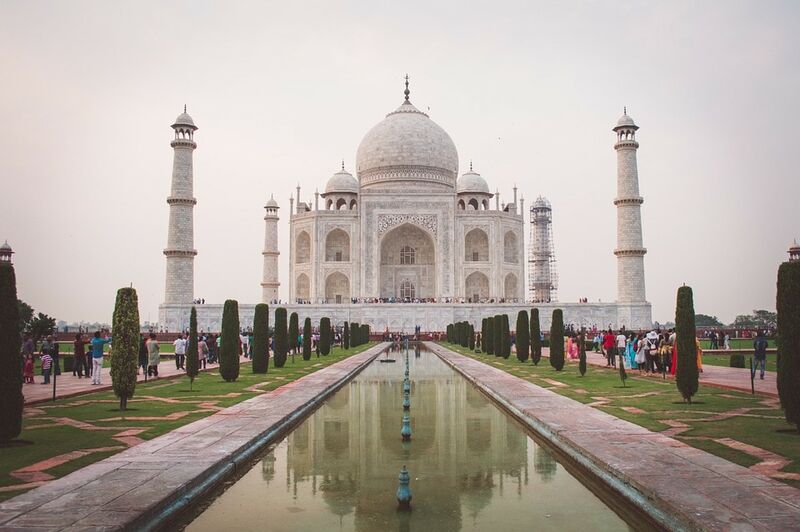 These heritage sites besides serving as a retrospect, are also some of the best tourist places in India which attract people from all over the world. So if you are planning to spend some time with your loved ones, you can explore these historical places in India. This had to be the first in this list of historical attractions in India as it is the ideal historical place in India to visit with your loved ones – an epitome of undying love surviving the onslaught of time to tell a story. This is a story of love, passion, war and death. Undoubtedly, one of the most exquisite man-made structures, this white marble edifice is a symbol of love. Built by Emperor Shah Jahan consuming a period well over 17 long years, Taj Mahal is also the seventh wonder of the world. The historic monument erected in memory of Mumtaz Mahal is also an exemplary work of Mughal architectural prowess. Appreciate the love and celebrate life at the Taj. Appreciating its beauty on a full moon night would be one of the things you would wish to do on your visit to Agra. 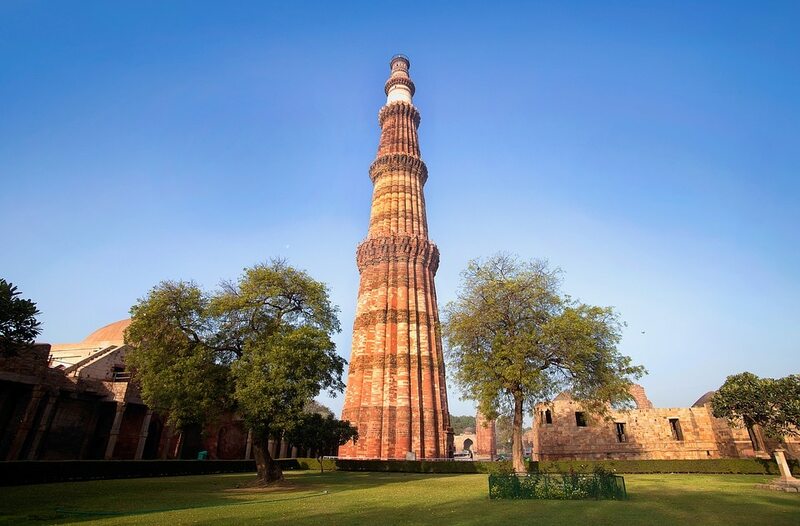 The Qutub Minar is a landmark in the history of India as it marks the beginning of the Mughal rule in India. Of course, a UNESCO World Heritage Site, the QutubMinar is a 73-m tall minaret built by the then emperor of Delhi, Qutb-ud-din Aibak. The minaret is the standing ovation to the willpower of one man and his rise from a mere slave to the throne of the Sultan of Delhi. This five-storied ancient monument constructed out of marble and sandstone. It is surrounded by some other archaeological sites such as the famous Mehrauli Pillar and the Qutub Complex, which should be included in your itinerary on your trip to Delhi. 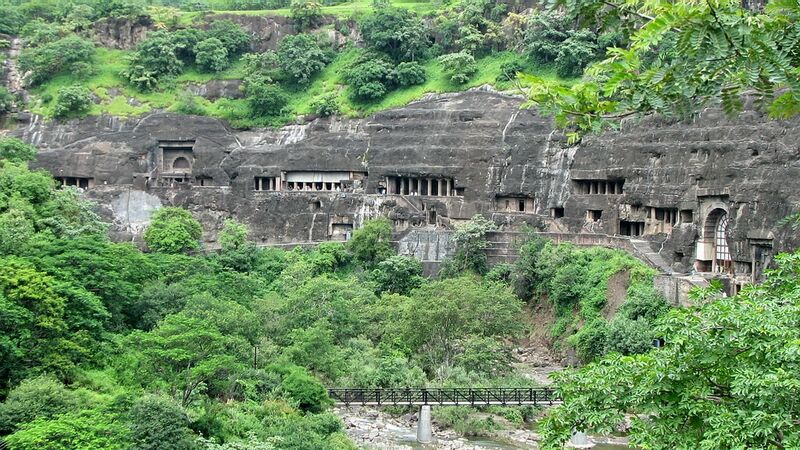 The caves of Ajanta and Ellora possess the earliest examples of art and sculptures echoing the rich legacy of the ancient times. The caves of Ajanta and Ellora support the statement that the Indian subcontinent is a melting pot of different cultures. The paintings on the cave walls echo the cultural legacy of Hindu, Jain and Buddhist art.The Waghora River flows along these caves and the healthy vegetation encompassing these provide the perfect atmosphere to explore and admire the majesty of the caves. The thick forestry around the caves has provided the perfect backdrop for some of our favourite romantic scenes in Indian Cinema. Love is in the air, where ancient art meets with plush del and tall trees. The Red Fort one of Shah Jahan’s other architectural ventures, after the Taj Mahal, can undeniably be termed as the second best among the historical places. It is built majorly of the red sandstone and took nine years to finish. In contrast to the purpose that it served during Shah Jahan’s tenure, it is now the epicenter of India’s annual Independence Day celebrations.Look back into the past through the souvenirs of the Red Fort Museum and the place aptly echoes the ethos of India’s freedom struggle. 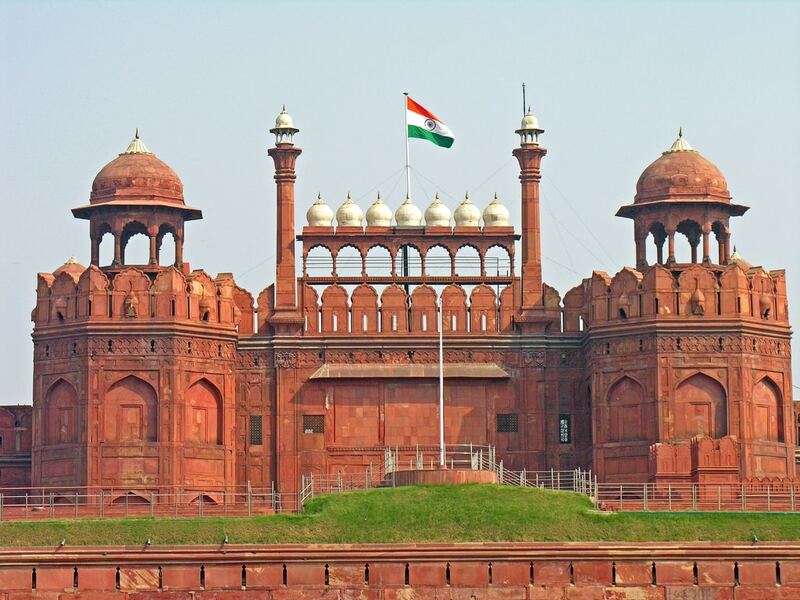 Originally built in white limestone, the Red Fort was renovated during the British period and was painted red and since then the locals began calling it as the Lal Qila. Despite its impoverished state the temple complex which saw the light of day in the early decades of thirteenth-century lure tourists from all over the world. 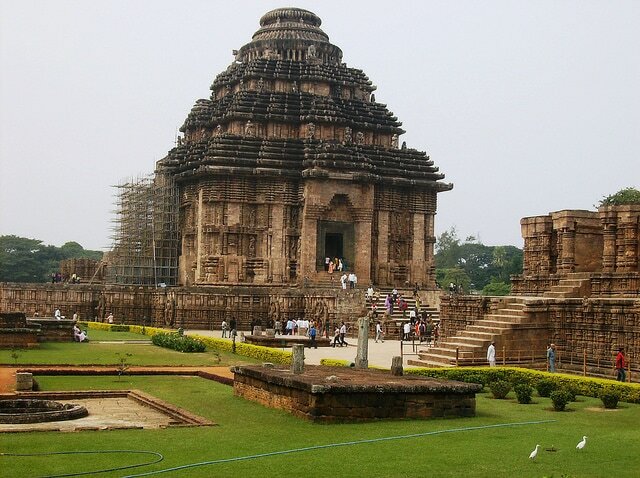 It is a tempting call for all to visit Konarak. Time has only augmented the beauty of the finest example of the Kalinga architecture. The temple’s in the shape of a chariot and was constructed to pay homage to the Sun God. The chariot’s wheels, images of animals and other patterns have all been critically etched. Once a year the early morning rays of the sun hit the idol inside the temple directly and reflect beautiful hues all over. This day is also the annual festival of the temple. The surrounding landscapes and the tall mountains covered with a beautiful green blanket, entice all. 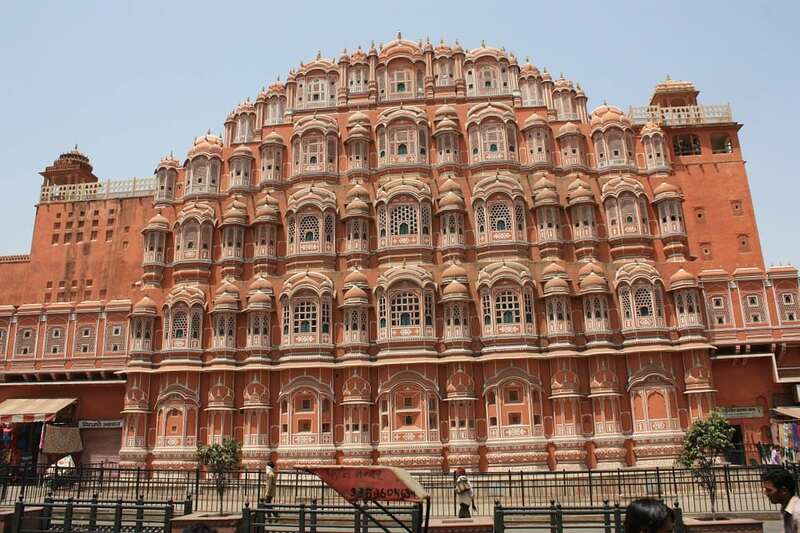 The Palace of Winds or the Hawa Mahal is a pyramid shaped historic monument, made of pink and red sandstone and comprising of a whopping 955 windows, which give an aerial view of the city. The architecture is plain yet commendable. The building was erected in1799 by Maharaja Sawai Singh to let the Rajput royal women of those times get a glimpse of the life outside the palace, for it was forbidden for them to appear in public. Many a cajoled eye have looked longingly at the world outside, as life slowly began to unfold in front of them. These windows have witnessed love and lust, passion and revenge, peace and war. The untold stories inside the Palace walls echo with the cool breeze that circles round the Mahal at all times. Glimpses from one of these beautifully carved windows give you a new insight into the busy lives down the street. These windows have witnessed quite a lot in the past few centuries. 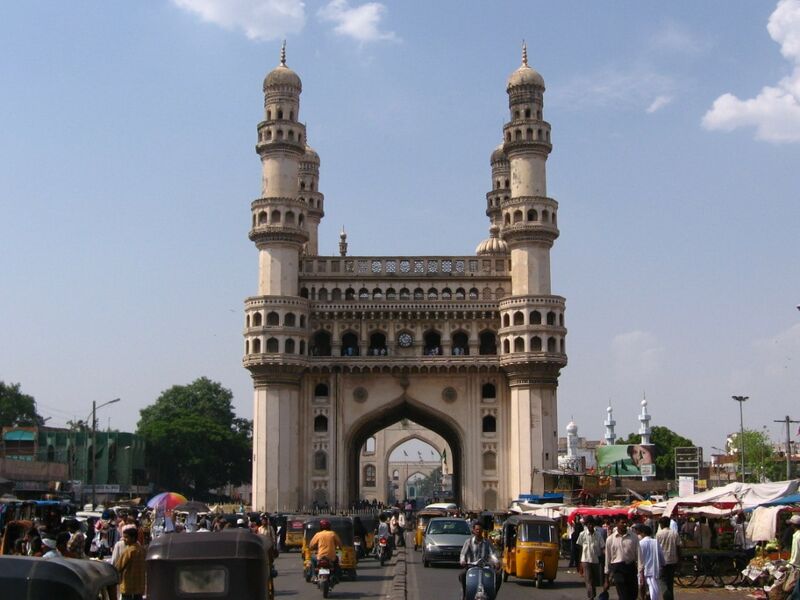 In the late 1500s, Hyderabad was struck by a horrifying plague- a plague which destroyed the very fabric of society and claimed the lives of lakhs of people. Eventually, the city reclaimed its former glory and in order to celebrate the city’s recovery from its aftermath, the then sultan, Muhammad Qutb Shahi constructed this four-towered ancient monument to celebrate the rejuvenation of the city. A perfect melting pot of different cultures, Char Minar is a standing ovation to the majestic city. Standing on the banks of the river Musi, Char Minar is an explicit illustration of Indo-Islamic architecture among historical places in India and is one of the must-visit destinations in Hyderabad. 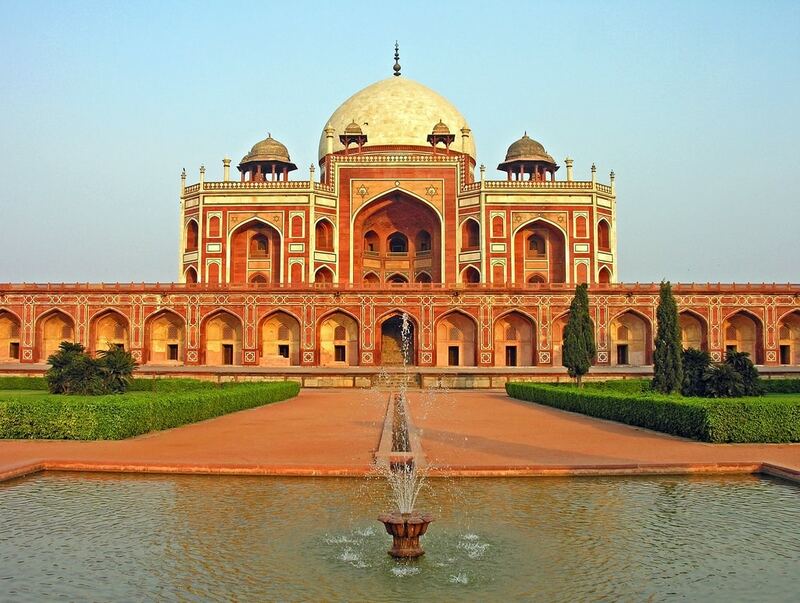 Humayun’s Tomb was constructed nine years after the death of this great Mughal ruler, who paved a bridge between the founder of the mughal dynasty- Babur and Akbar the Great. Another interesting fact about the tomb is that it is perhaps the first historic monument to be constructed by a woman– Humayun’s widow. The monument among our historical places is a classic example of Persian architecture. Apart from being a fine reconstruction of the Mughal period and a golden page in the book of history, it’s beautifully maintained gardens, the Charbagh, serve as the ideal picnic spots for the tourists. 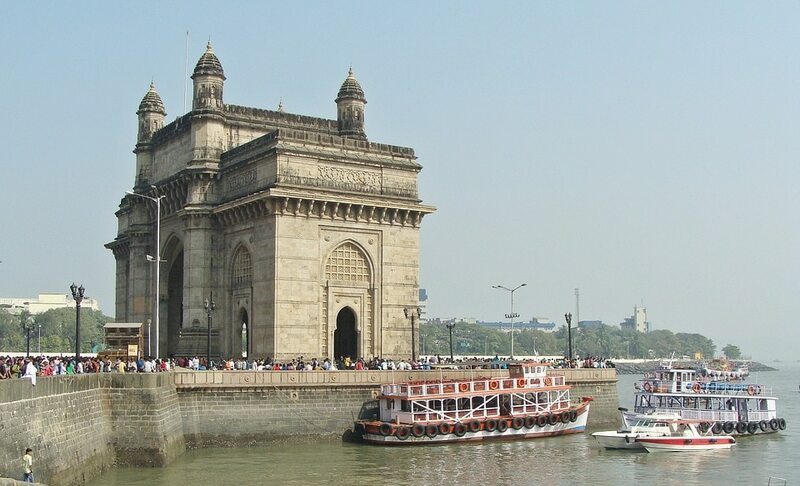 One of the most iconic elements of the city of dreams, the Gateway of India is a reminiscence of the British Raj as it was built to honour the visit in Mumbai of King George. The evening spent at this monument, between the Arabian Sea and the Taj, with pigeons flying free, enjoying the street food by numerous vendors and hawkers, would possibly be the highlight of the day. 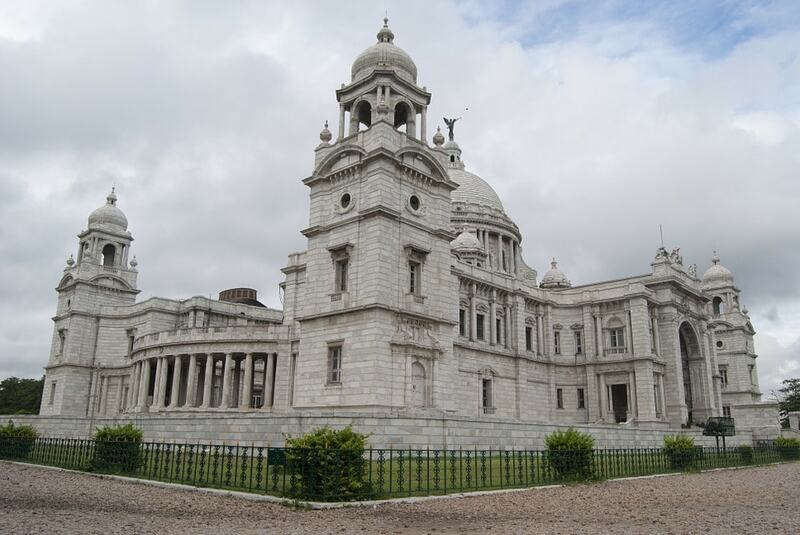 Our last among historical places in India to visit for honeymoon.Victoria Memorial is one of the most famous places in Kolkata, with its history dating back to 1926, the year in which it was completed to none other than Queen Victoria. The memorial has 25 galleries as of now which provide rich insights into the British Empire. It also bears some of the rarest collections of stones, coins, weapons, books and paintings from the 20th century. The Martin & Co. of Calcutta deserves kudos for preserving the enthralling aura of the place. This city has the treasure of some of the best architectural ruins which are as old as from the 10th century. A couple who like to fall in love with the rich Indian history, this is a beautiful destination to celebrate your love. Mandu or Mandavgarh is located in Dhar district of Madhya Pradesh. This land boasts the oldest erected monument in India. Also, you can imagine your love story while you visit Roopmati's pavilion. The pavilion is the testimony of Baz Bahadur's love for Roopamati. Many temples, mosques, palaces and darwazas (gates) are other architectural ruins to visit here. So enjoy visiting these historical attractions in India and get a taste of our rich Indian culture,history and architecture. The World’s Most Mind Blowing Natural Phenomena!